Hendrik Jan van Beek (The Hague, June 14, 1958) is a Dutch photographer. Ever since he was sixteen, Hendrik Jan van Beek (1958) began photographing professionally. Riding his Puch, he started to work with Piet Wiegers in Amersfoort (wedding photography and portraits). When he was eighteen he went to work for Gerard Boekhorst in Utrecht. He photographed many ‘ordinary’ people whom he met on the street. His photographs are characterized by the true face that is enshrined in those pictures. After military service he became photographer at Myosotis (publicity agency) in Baarn (1980), where he was taught in photographing by two outstanding teachers, Remmelt van Heerde and Bram Dorland. Since then Hendrik Jan did not photograph primarily people, but he also learnt the art of photographing material objects. He photographed, inter alia, several covers of records and books. Nevertheless, his passion for capturing the emotions of people has remained very strong and he photographed many people, including famous national and international artists. After three years he wanted to learn another side of photography in practice and he became a ‘pupil’ of Cees Broekhuijsen in Amersfoort. He did much architecture and advertising photography for major clients like, for example, AEGON Insurance. Hendrik Jan feels that he has learned the most of this excellent photographer, both on photography and advertising. However, his greatest inspiration has been the Dutch photographer and filmmaker Ed van der Elsken (1925-1990), especially his book ‘Eye love you’ (1977). In 1984 Hendrik Jan has started as freelance photographer, with much support from his former mentor, Cees Broekhuijsen. As independent photographer he developed penchant for making pure portraits, since he has got a special talent to photograph people ‘just the way they are’. He considers the emotion as one of the most important aspects of a picture and, consequently, expressive eyes as a prerequisite for a good picture. Hendrik Jan has become a very versatile photographer, specialised in portraiture, photojournalism and stock photography. He portrays both famous and less famous people. In 1996 he had the honour to create a calendar for the Hells Angels in Amsterdam. Although this calendar was considered by many as one of his masterpieces, his work is characterized by its diversity. The Dutch Royal House is a recurrent and favourite theme in his work. Since his studio was located at the Noordeinde in The Hague for some years, near the so called ‘Noordeinde Palace’ (the Queen's place of work since 1984), he developed his predilection for photographing the members of the Royal House. He was the first Dutch photographer who photographed Princess Máxima of the Netherlands in public, when she was visiting Prince Willem-Alexander, the Prince of Orange (the heir to the throne) at the beginning of their relationship. As ‘neighbor’ to the Palace Noordeinde he became professionally fascinated by the Argentine photogenic Princess Máxima of the Netherlands and composed a book of approximately sixty portraits of her, taken during her introductory visits to the Netherlands. 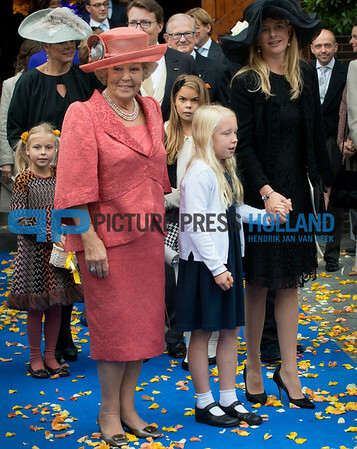 Many of his pictures of the members of the Royal House are published in Dutch and European magazines and even in South America. The main characteristics of Hendrik Jan are independency, diversity and confidence. Hendrik Jan is able to make people feel at ease, ensuring a relaxed and familiar atmosphere, vital in capturing good pictures. He detests obtrusiveness. He does respect the privacy of people at all times, so you will never find him ‘hidden between the bushes’.